I was a teenage drama queen. No — not that type of drama queen! (Though that definition probably applied too….) I was super active in the drama department at my high school. And I have the embarrassing photos to prove it! Though I mostly worked on the stage crew, I also had a few big juicy roles in the school plays. Exhibit A: I played the role of Berthe in our school’s big musical production Pippin! 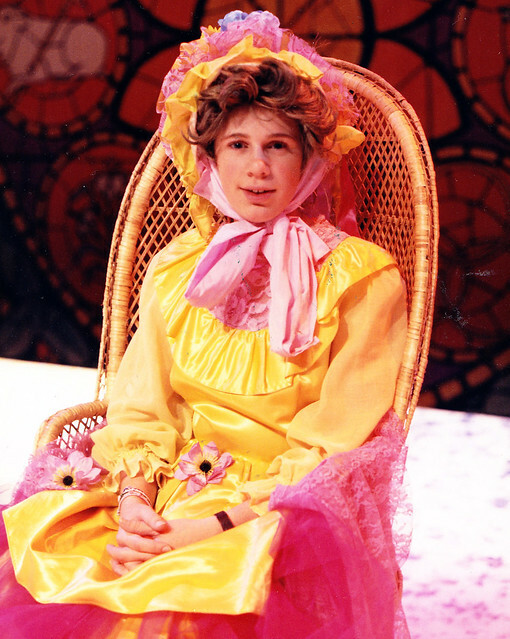 This was my first big role and I had a fancy song and dance number that involved chorus line kicking and singing in a Ethel Merman “old lady” voice. Is that dress not the most hideous thing you’ve ever seen? I also got to wear a charming wig and big poofy hat. 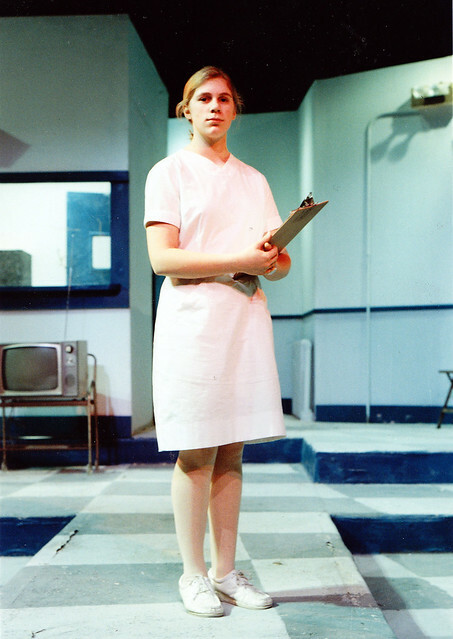 Exhibit B: I played one of the lead roles in One Flew Over the Cuckoo’s Nest, Nurse Ratched! This was a huge role with tons of lines. I was on stage for nearly the entire play and it took over my life for months. Such a totally awesome time though. OK, so maybe this isn’t a giant surprise to people who know me, but it is part of my secret past. We aren’t big chip eaters around here because I’m trying really, really hard to keep our snacks healthy but I like to have a hand full of chips now and then — and my kids love to have chips as often as they can. 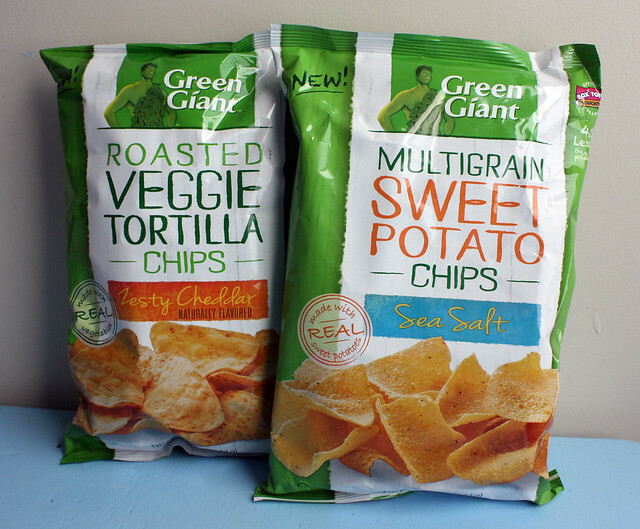 When Green Giant sent me a couple bags of their new Veggie Snack Chips we were all excited to try them. 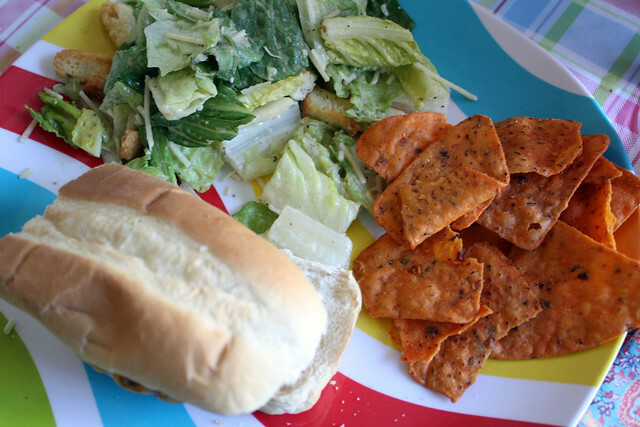 The Sweet Potato chips were good, but we all really enjoyed the Roasted Veggie Tortilla Chips. I served them with burgers and Caesar salad for a Saturday lunch and the boys went crazy for them. How’s the nutrition? Well, let’s be honest — these are chips so the ingredient list is pretty much what you would expect. I did like that they were baked, rather than fried, that they incorporated healthier veggies like sweet potatoes and bell peppers and that they provide 17 grams of whole grains per serving. Are you surprised? Check out the other surprise talents that the Green Giant has found or add your own.